I absolutely love this invitation combination that came from a recent client! 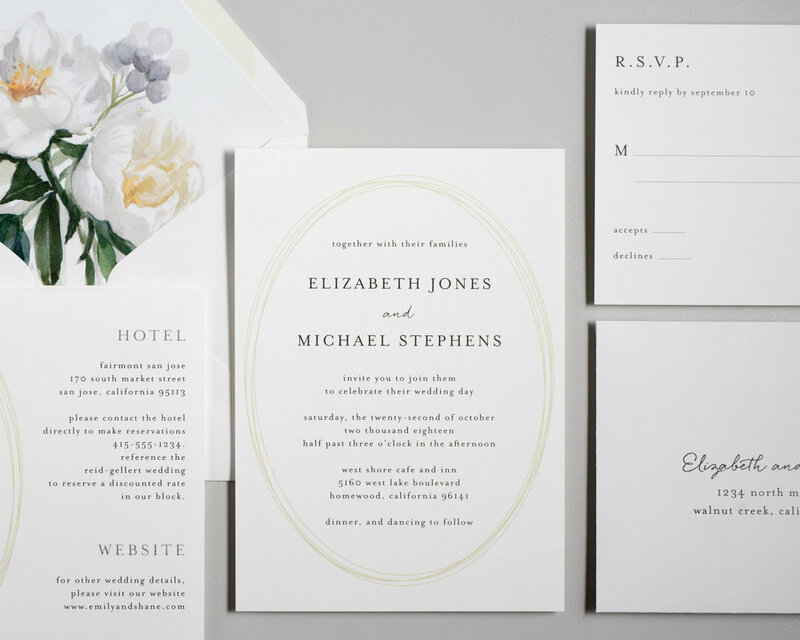 She envisioned the White Peony Envelope Liner mixed with the Modern Oval Wedding Invitation. By adjusting the colors for a perfect blend and printing on linen paper, this invitation suite became a perfect medium of modern and romantic. Names and personal information have been changed.